Introducing Atka the Alaskan Malamute ≫≫ our nine month old puppy! 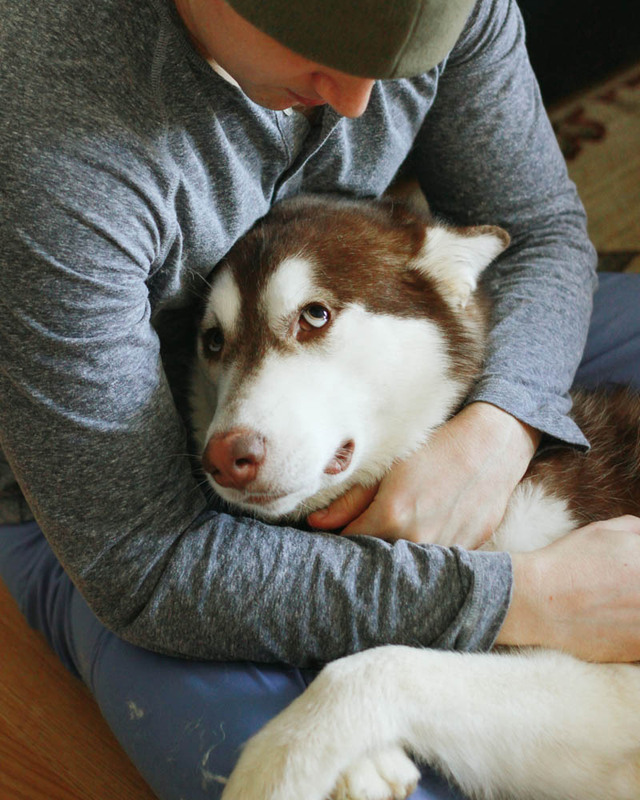 Dave and I have been dying for a dog of our own for as long as we've been married (five years now), and since we moved to Alaska we've really fallen in love with Alaskan Malamutes. Our landlord recently gave us the green light to have a dog in our little rental house here in Juneau, so we've been scouring the internet to find a Malamute. You would think you could easily find one here, since we're in Alaska, but that's not the case here in Juneau. On Sunday night, Dave and I were watching TV and I was flipping through the Juneau buy/sell/trade groups on Facebook and saw this gorgeous face. She was on one of the islands nearby and her family was looking for a new home for her, I text the number as fast as I could and prayed she was still available. Within 24 hours our new little lady was on a plane headed to Juneau. I still can't believe she's ours! We named her Atka, which is an Alaskan/Inuit name that means Guardian Spirit. She's just the sweetest, smartest, and most gorgeous dog...we love her to pieces! Isn't she the cutest?! Obsessed. There are (and will be) more Atka pictures on Instagram, I even posted a "throwback thursday" yesterday of her at six weeks that I got from the breeder!